Mobile Bingo Bonuses introduce a popular site among the sports betting and casino fans out there, which has now added a bingo page called Vernons Bingo. 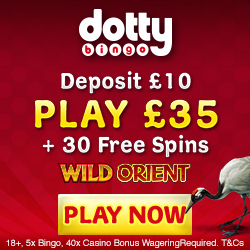 So if you’re a bingo, casino, arcade, scratch card or slots fan of high quality games such as Da Vinci Diamonds and Pixies of the Forest, then this is definitely the site for you. If you’re wondering how you’ll fit in so much gaming then don’t worry because Vernons Bingo is now available on your mobile devices. So if you have a smart phone including Android, iPhone or a Tablet device then you can now game when and wherever you like. This makes those mundane chores such as walking the dog much more interested and possibly rewarding. Registering with Vernons Bingo is easy and when you have made your 1st deposit you’ll receive a whopping 500% cash match bonus. To explain what this means for you, if you deposit £5, you’ll receive an additional £25 in bingo credit; making a grand total of £30 to play with. As a new player with Vernons Bingo you’ll be invited to their Newbie Room which offers complimentary bingo for a month. You gain access after you’ve made your 1st deposit and it’s available every Tuesday between 8pm and 10pm with prizes varying between £10 and £50. There are also a ridiculous amount of regular promotions available to existing players, ensuring that the money you deposit can spread that little bit further. 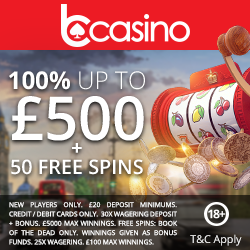 T&C’s: 18+, opt-in required, New customers only, Min first deposit £5, £5 must be spent on bingo tickets to receive £25 bonus funds, 4x wagering requirements for bonus, 14 day expiry on bonus, Contribution to wagering reqs varies by game, Further eligibility and terms apply. Vernons Bingo believe that part of the fun of online gaming is meeting new friends or roomies, as such they offer an array of chat games and quizzes. With names like I Spy, Anagrams, Trivia or Karaoke Queen there is bound to be a game for you, so check them out. For the social media fans out there make sure you check out Vernon Bingos Facebook page where the latest news, updates and promotions can be found. Plus it’s another great way to meet fellow roomies and share your gaming experiences and tips. From the point you register you’ll join Vernon Bingos loyalty scheme, where to earn points is as simple as playing. These points can then be converted into extra gaming credit for more fun, so keep an eye on your account because they’re instantly added. If you’re lucky to be invited into their VIP Club then not only will you have access to exclusive games and promotions, but there’s also extra bonuses that only a VIP would receive. Again all you have to do is keep playing your favourite games and you’ll receive an email with the invite. With all of these amazing games and bonuses we’re sure you’re eager to register and claim your £25 bonus, which you can do by heading to Vernons Bingo. It’s worth noting that Vernons Bingo is a sister site to Supercasino, so if you like their games you’ll know exactly what to expect.